Wider Shoulder block - Designed to get better cornering stability and to reduce noise. Multi cone lateral groove - Designed to clear water rapidly, im-prove road contact on wet condition and maintain low temperature on dry condition. 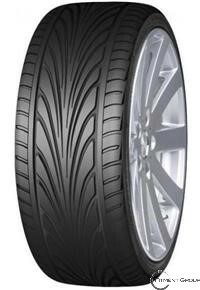 Straight groove - Designed to get stability on high speed and to overcome aquaplaning.